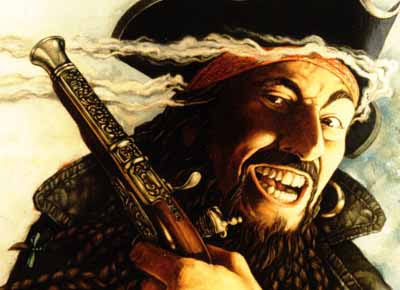 The late 1600s to the early 1700s were the golden age for pirates and privateers. Most of the ones you've heard about - like Sir Francis Drake and Blackbeard - used The Islands Of The Bahamas as their port at one time or another. The Islands Of The Bahamas made an ideal home base for pirates and privateers. The numerous islands and islets with their complex shoals and channels provided excellent hiding places for the plundering ships. And since The Islands Of The Bahamas were close to well-travelled shipping lanes, it gave the buccaneers plenty of opportunities to steal from merchant ships. With its shallow waters and over 700 islands, The Islands of the Bahamas made a great place to hide treasure - and pirates were quick to boast about all the riches they had buried. In addition, many ships laden with gold and silver sank off the coasts of the islands. These tales of treasure add mystique to The Islands of the Bahamas, whose true treasures are its beautiful beaches and hospitable people. Slow-moving merchant ships - especially Spanish galleons weighed down with riches plundered from Central and South America - were easy prey for pirates. After removing the stolen cargo, they would hide it in the numerous limestone caves dotted around The Islands of the Bahamas, or else would bury it somewhere. Rumours of treasure still hidden in The Islands of the Bahamas survive to this day. British pirate William Catt, for instance, is supposed to have buried loot on his namesake, Cat Island. And Sir Henry Morgan, a wealthy privateer who preferred the island of Andros, is said to have buried treasure throughout The Islands of the Bahamas.